Our course. The X had buckets under it. Note the lack of canter poles! Had any amazing ride yesterday. 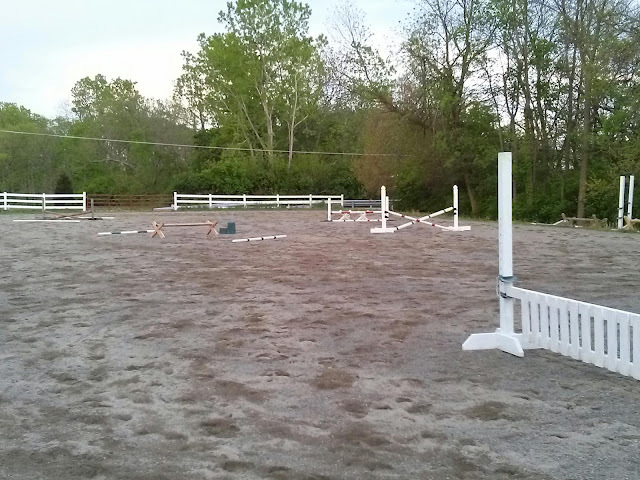 I set up a course of 18″ jumps, since that’s what we’re showing over this weekend (!!!!!!). I also made sure there were several with no canter poles, and that I had one line that wasn’t a bounce – these are two things I know we’ll encounter at the show, but we hadn’t practiced as much. 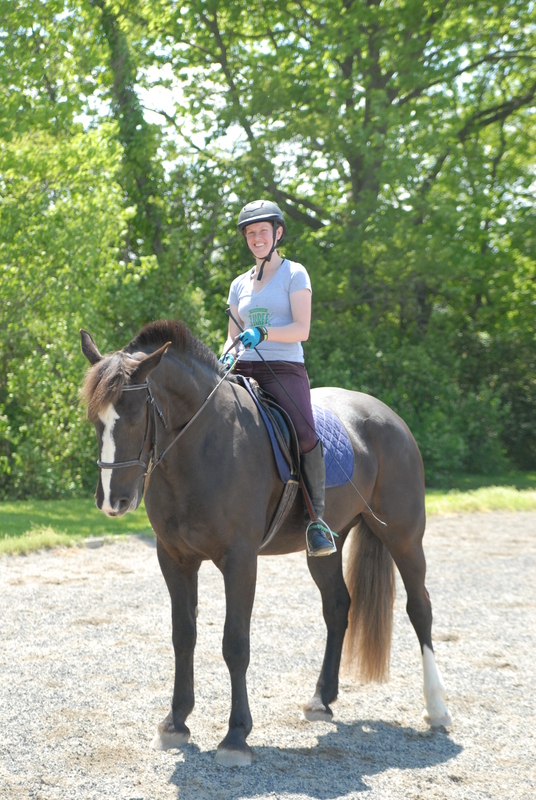 We had a short flat warmup, then headed for the small x – which of course she jumped right over (so easy!). She ran around the cavaletti, but I knew that could be a problem, and she went over it the second time. Next, we jumped the gate a couple times, which she didn’t even look at. She had trouble turning after the jump, so we abandoned that one a bit. Finally, we went through the combination. First time through, no problem! This horse, I swear. Lastly was the most entertaining and telling part of the ride – Julie put buckets under the X and cavaletti x-es under the vertical, to simulate the weird stuff she’ll have to go over at the show. The first time through, she took a huuuuuge overjump over the x, and then landed so weirdly that she ran around the vertical. But after that….no drama at all! We went through the combination (with added scary things) several times, then quit when it became apparent that she really didn’t need to practice it. 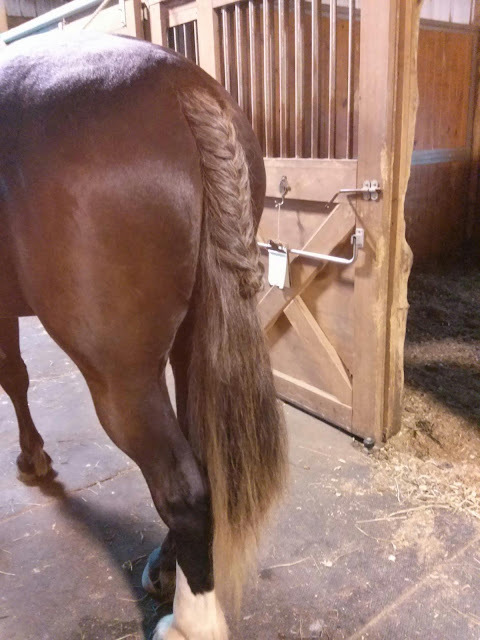 We’re doing an nontraditional hunter tail braid…ya, just about everything we do is nontraditional! Our neighbors, who have a stallion and a mare, were riding in the field next door, so we went to go visit. I couldn’t believe it when Robbye didn’t react to the stallion at all, despite being in raging heat. She’ll pee at and bother Yogi to no end, but she won’t even look at an actual stallion. Silly woman. Anyway, I really think that she’s going to be awesome this weekend…but even if she’s not, this has already been a great experience for both of us.